If you’re like many people, whenever you think that you need to go to the dentist, you simply type ”dentist near me” into a search engine and hope for the best. You see links to thousands of practices, and even click on a few, but none of them actually compel you to make an appointment. They either don’t have everything you need or are too far away. You want a practice in your area that offers comprehensive care; you only want to have to go to one place. Fortunately for you, your answer is only a 10 minute drive away. Dr. Robert Sikes, your dentist near Cookville, can offer you the type of care and experience that is more than worth the short trip. Personalized Care: Our office may be state-of-the-art, but our care is as basic as it gets. You’ll get a warm smile and a friendly face as soon as you walk in our door, and everyone will make sure you are completely looked after during your entire visit. All Ages Welcome: Save time by taking everyone in your family to one practice. We can help everyone from the smallest child to the wisest grandparent. Emergency Dentistry: Accidents happen, and when they happen to your teeth, we’ll be there to take care of you and help relieve your pain as soon as possible. Being able to get this breadth of services in one place has a benefit that probably jumps out at you immediately: you’ll save time. 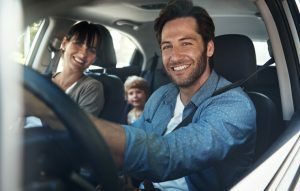 You don’t have to bounce between different dental offices trying to get all of the treatments and services that you need, saving you countless hours in the car. Plus, since you are getting everything taken care of by the same dentist and their team, you know that you’ll be able to rely on the quality of your care. No matter who you bring to our office, no one will understand their situation better than us. This not only ensures that you get the best care possible, but also helps build a trust with your doctor that will make getting dental care much easier in the future. By having all of these services available just 10 minutes away, we help make your busy life just a little bit simpler. We work hard every day to make getting dental care easier for you and your family. Dr. Sikes and his team are proud to provide the one-stop dental practice that Cookville residents need, and help you have peace of mind when it comes to you and your family’s teeth.